What is a pipe smoking championship? A pipe smoking championship is simply a competition between individual pipe smokers, who are sometimes grouped into teams, to see who can keep a pipe with a given quantity of tobacco alight for the longest. The objective is to keep the pipe alight for as long as possible. When a competitor finishes smoking, a note is made of their time and the slowest smoker wins. In a formal competition such as the British Pipesmoking Championship (ably hosted by the John Hollingsworth Pipe Club of Birmingham (JHPCB)) or our very own PCN Open Pipesmoking Championship, each competitor is given a brand new pipe. In casual club competitions, members use their own pipes. The competitor also receives an amount of tobacco... usually 3 grams but some competitions use 4 grams. 2) a pipe cleaner to clean out the pipe before the competition as some pipes come with the stem blocked with sawdust. The cleaner may not be used during the competition. 3) a tamper. Usually the tamper may be used right through the competition but the Norfolk rules are that the tamper is withdrawn after ten minutes. This is to make it difficult for people to do ember chasing (q.v.). At the start of the competition, the smokers are allowed 5 minutes to fill their pipe with tobacco. Then they have one minute in which to light the pipe using only the two matches provided. They must keep the pipe alight for as long as possible without relighting or adding any further tobacco. There are also strict rules about the use of the tamper... the pipe must be in the mouth when the tamper is used. What is an "ember chaser"? Ember chasing is a technique used by a few people in the UK but is more common on the continent. A small section of tobacco is lit and then the tamper is used to push this burning tobacco around the pipe bowl. This technique is difficult to master but if successful, very long smoking times may be achieved. 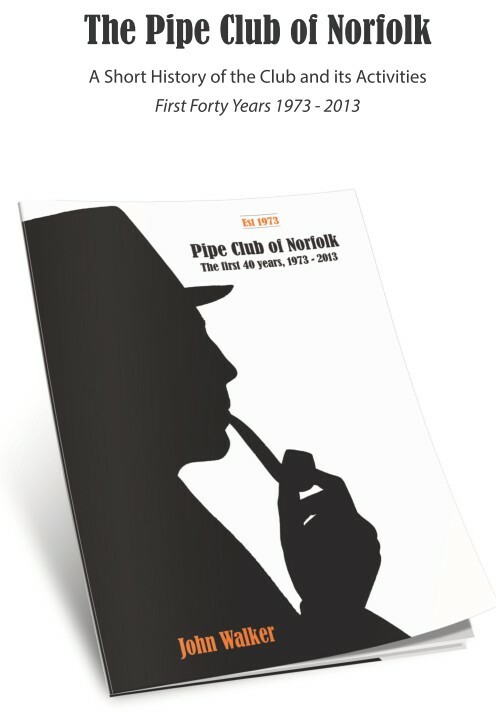 The Norfolk clay pipe competition has exactly the same rules as for briar except the pipes must be either all clay or clay bowls with a non-clay stem. See the CIPC Rules link below for a full set of rules and look in the archive section of this site's index to see photos and reports of competitions.